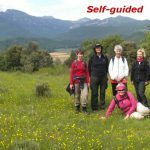 This walks offer visitors a chance to discover the eastern Pyrenees and La Garrotxa landscape and its heritage. We choose some of the best local areas to show off the wonderful cultural and natural diversity: they’ll discover it with the written guide. Most of the trails are at la Garrotxa, the best example of a volcanic landscape on the Iberian Peninsula: 40 volcanoes and more than 20 lava flows. 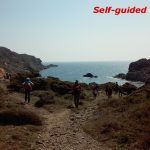 On this tour we will visit the towns of Castelló d’Empúries, Llançà, Port de la Selva and Cadaqués, all rather cut off from the rest of Catalonia, and explore their rocky hinterland and their relationship with the sea. We will have time to stop for views, to look at wildlife and for refreshing drinks when we reach our evening’s destination.